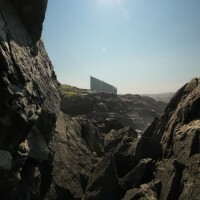 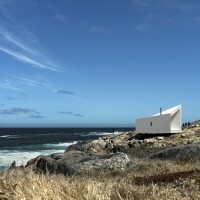 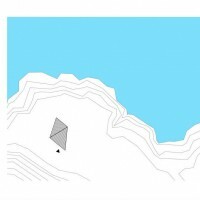 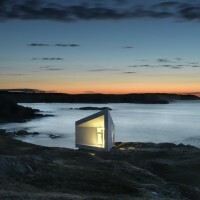 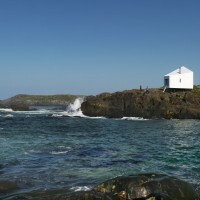 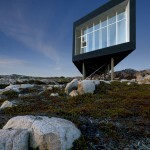 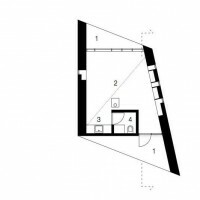 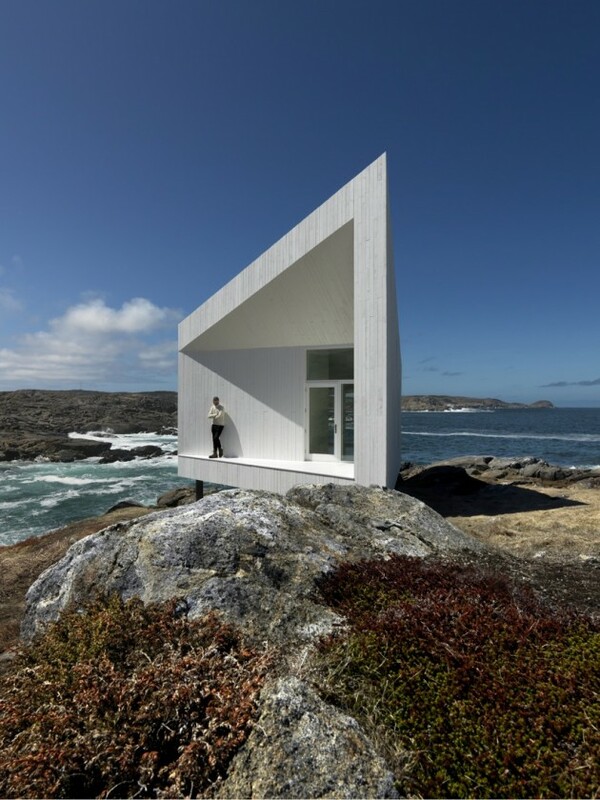 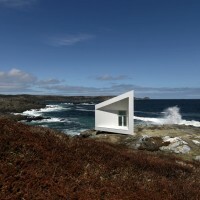 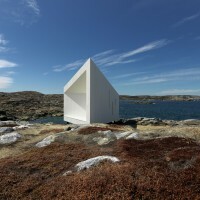 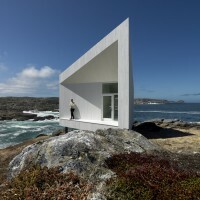 Architect Todd Saunders designed the Squish Studio on Fogo Island, Newfoundland, Canada. 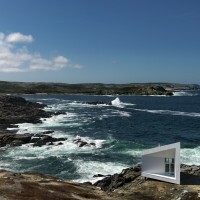 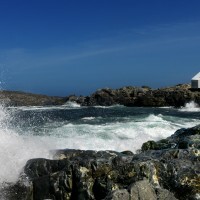 The Squish Studio is located just outside the small town of Tilting on the eastern end of Fogo Island. 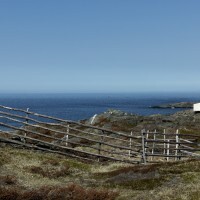 First settled in the mid-18th century, Tilting is known for its strong Irish culture and its recent designation by Parks Canada as a National Cultural Landscape District of Canada. 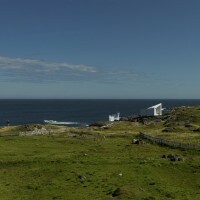 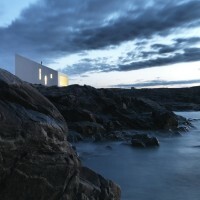 At night, the studio, illuminated by the soft glow of its solar-powered lighting, appears as a lantern or a lighthouse placed strategically on a rocky cliff to over- look the North Atlantic. 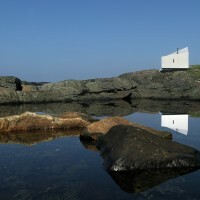 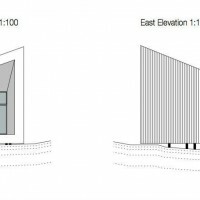 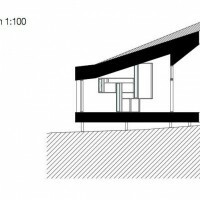 In its isolation, one can also imagine a sole occupant, vulnerable but protected from the elements – inspired to work late into the night, occasionally distracted by the crash of the waves, or perhaps, fully immersed in the work at hand, the first glimpse of the sunrise through the Squish Studio’s slot windows that face the north-eastern horizon. 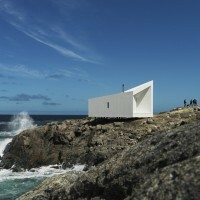 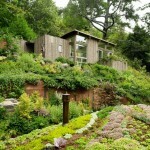 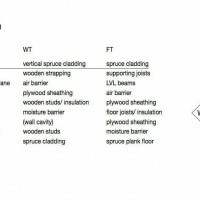 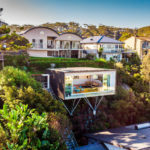 Visit the Saunders Architecture website – here.